Scarborough House is haunted, and it's not doing much for Donovan Scarborough's investment portfolio. No one wants to buy a place with levitating crockery, or (the wrong kind of) rhythmic pounding throughout the night. 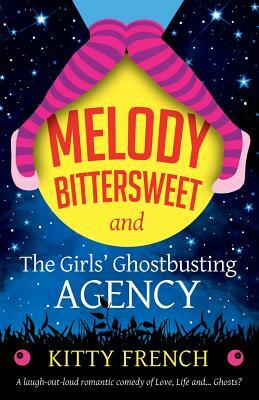 Luckily, Melody "I-See-Dead-People" Bittersweet has just launched her own ghostbusting agency with best friend Marina, geeky, keen Arthur, and a one-eared pug called Lestat. They're quick to take the case, even if it has already sort of (definitely) been given to Leo Dark, Melody's rakish, despicable ex. Donovan Scarborough doesn't care who solves the case. Whoever gets rid of the ghosts gets paid. Can Melody and her new crew untangle the mystery, and bring the brothers peace, before Leo? Or will his distracting sexiness and Melody's bonkers family cause the agency to fall at its first hurdle? This is the PERFECT choice for fans of HY Hanna, Janet Evanovich, MC Beaton, and Gina LaManna, who'll find themselves completely hooked and crying with laughter as they join Melody and her crew on their spooktastic adventure.